I first visited Houghton Library to study this Italian Renaissance picture of Christ dividing the blessed and the damned on Judgment Day. The trip was the culmination of my doctoral project to write the first biography of the infamous art dealer Luigi Celotti (1759-1843). 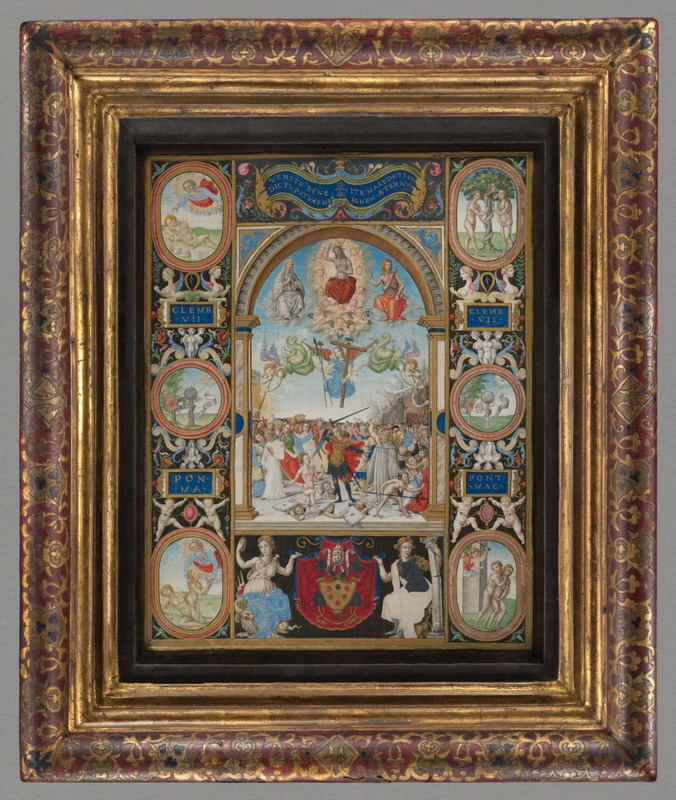 Celotti created this painting by cutting and pasting together several illuminations from a missal used by Clement VII to celebrate mass in the Sistine Chapel during the 1520s and ‘30s. The pope’s name, devices, and coat of arms decorate the border. After piecing together Celotti’s life story from some 200 documents which I discovered in over 20 archives and libraries on two continents, I concluded that his so-called vandalism of Vatican missals was motivated by a pioneering interest in the art of illumination and not merely by profit.